If you love promo's, check our slots offers today. 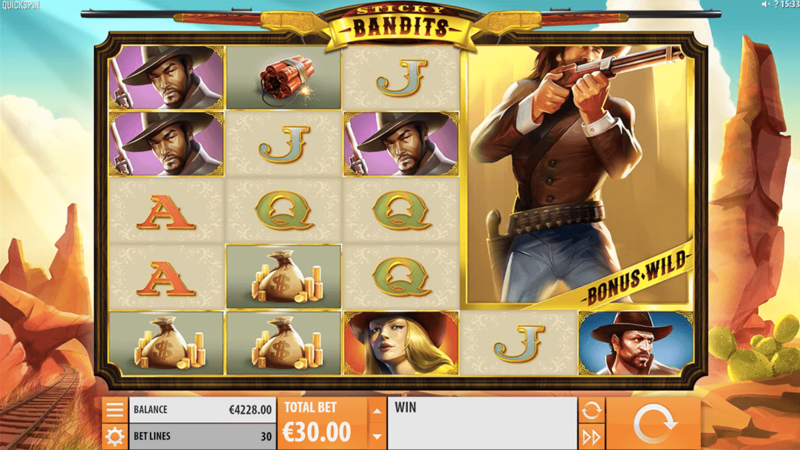 Sticky Bandits is a cool western themed slot for all the cowboys and cowgirls out there. 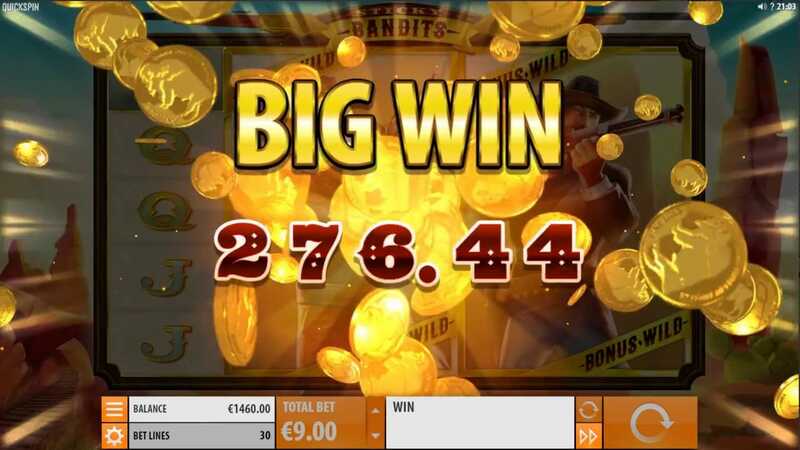 This 5 reel, 30 payline slot allows you to shoot your way to fantastic wins in the form of free spins and cash rewards. The reels are set in an abandoned sandy desert. You'll see that night is just about to fall as the sky glows a gorgeous purple shade and a few twinkling silvery stars can be seen. On the reels you'll see lots of colourful symbols including 3 mysteriously cool cowboys all wearing cowboy hats and armed with a pistol. You'll also see various card symbols, a cowgirl, a stash of cash and some dynamite. The Massive Wild Symbol - The massive wild symbol is the cowboy which you can see on reels 2 or 4. This cowboy acts as both the bonus symbol and wild symbol and replaces all other symbols on the reels. Free Bonus Spins - When a bonus symbol appears anywhere on the first reel and wild symbol emerges onto reels 2 or 4, you will gain 7 free spins. Any wilds during this feature will remain wild.